Think about the last few 20 you’ve taken, especially this holiday season. How many of these photos were on a traditional point-and-shoot camera (or SLR) versus how many were taken on your smartphone? If you’re like most people these days, less were taken on regular cameras. Last week, the NPD Group, a research firm, released a study that states of all photos taken in 2011, 27 percent were taken on smartphones, up from 17% a year ago. Traditional cameras took 17 percent of the photos, down from 53% the year before. The fact is – as cameras on smartphones continue to advance in image and lens quality, packing around that Canon camera is becoming less common these days. 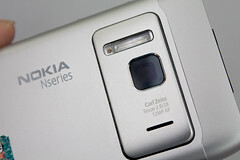 For me, the smartphone camera revolution happened back in 2007 when I first utilized the Nokia N95. This phone, advanced for its time and still impressive today, had a 5 megapixel camera with Carl Zeiss lens, resulting in great images and fluid 30 frames-per-second video. Today, I carry a Nokia N8 which has a 12 megapixel shooter and xenon flash (the same you find on your traditional point and shoots) which takes HD quality video and also can send and receive phone calls too. Unit sales of cameras are down overall, but it’s not all bad news for camera manufacturers. SLR-type cameras with detachable lenses are seeing an upswing in sales. Also, I’m seeing some folks shun using their smartphone as a camera because they want the battery life to be saved for actually making calls and sending messages. How about you – are you a smartphone picture taker? Sound off below in the comment!